Bridal showers and craft parties go together like milk and cookies, chocolate and peanut butter, pumpkin spice and…well, you get the drift. 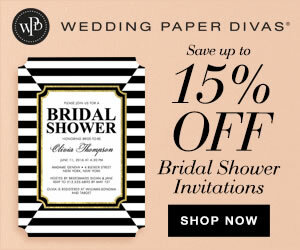 They’re an awesome combination and are perfect for the diy bride-to-be or the host who wants to add something a little different to the bridal shower activity list. It’s a super easy theme to put together, too. Create a list of crafty projects, gather the tools, and voila! 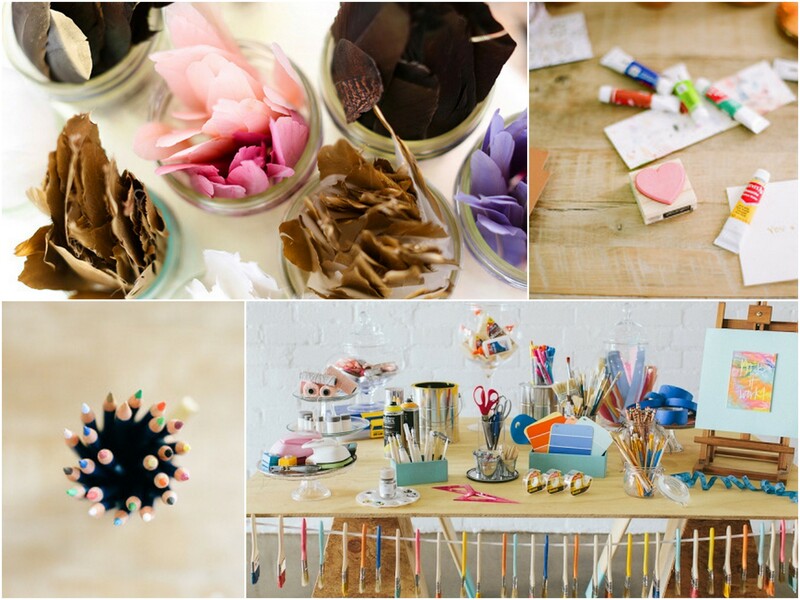 Let the guests entertain themselves inside a mess of glue and glitter. Here are some ideas. 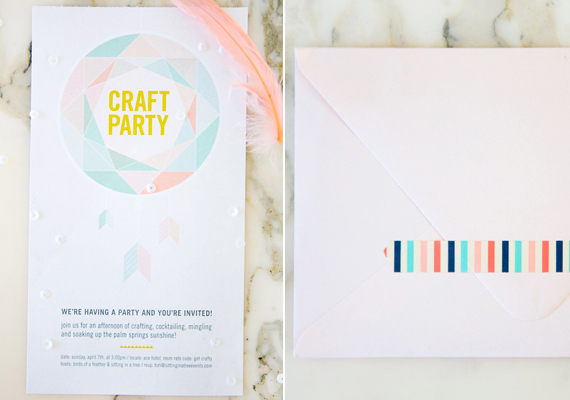 Get crafty with the invitation and let guests know exactly what they’re in for. Do they need to bring any supplies? Wear grungy clothes? Make sure to tell them in the invite. I love how Aileen Cheng added colorful washi tape to the envelope above. 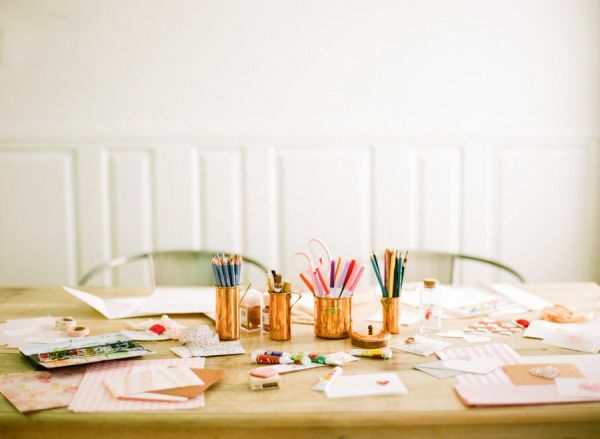 The tools you’ll need to supply depend on the type of craft(s) the guests will be making. Supplies to consider: feathers, colored pencils, glitter, markers and crayons, scissors, tape, decorative washi tape, glue, ribbon, rulers, paper products, canvas, thread, paint, stamps, stickers, paintbrushes, sequins. Message in a Bottle – have guests write advice and inspiration on hearts and secure them in a mini bottle for the bride-to-be. Paint Table – supply palettes, paint, and mini canvases for guests to create works of art with. Painted Rocks – Her inner bohemian will love crafting painted rocks she can later arrange in her garden. 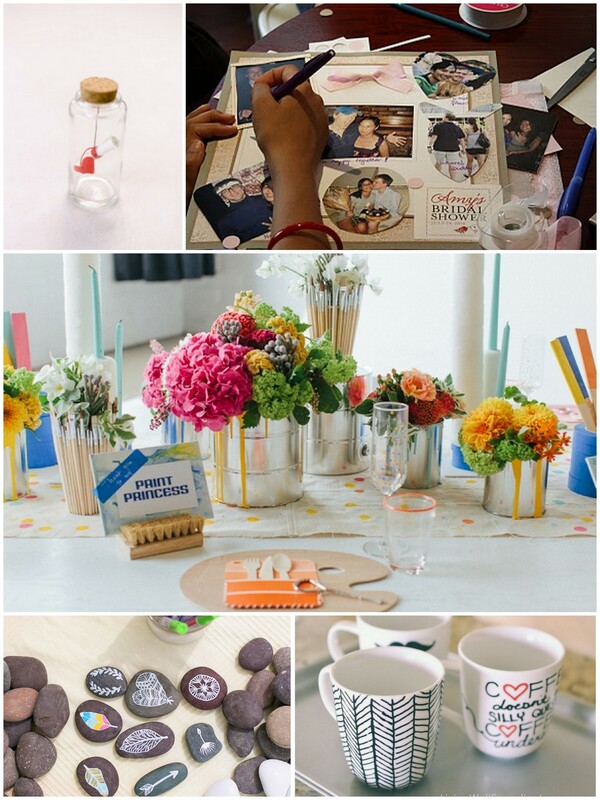 Sharpie Mugs – Follow this tutorial for cute mug art.